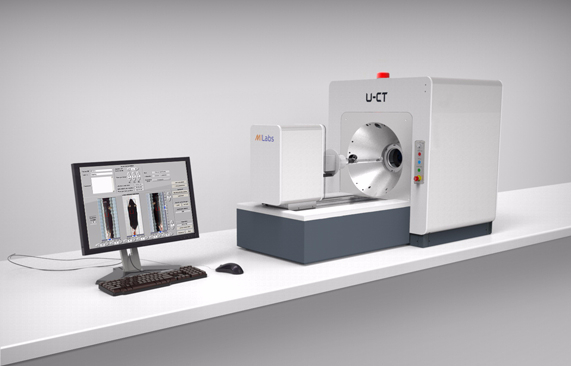 A new ultra-fast high-resolution full-ring clinical SPECT system was recently completed at MILabs. Derenzo phantom images indicate that 2.7 mm resolution can be achieved in e.g. the human brain. Interested in this exciting new development? 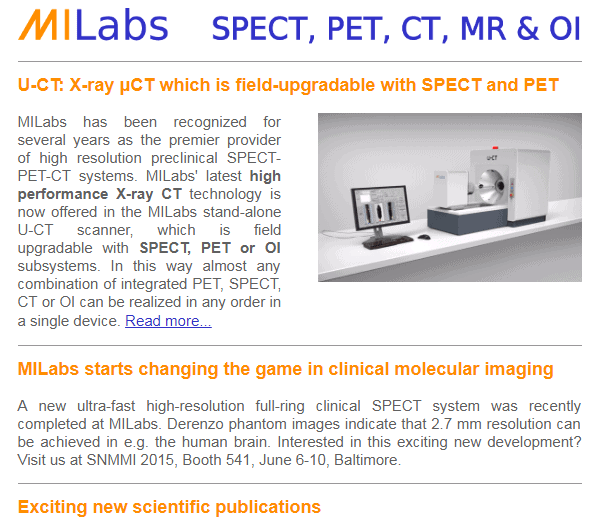 Visit us at SNMMI 2015, Booth 541, June 6-10, Baltimore. Copyright © 2015 MILabs, All rights reserved.